In Christ Alone: Who is your Life Jacket? Am I sounding funny? There's a reason for this question.When we took our son to swimming pool , we used inflatable swim tube as a safety measure for him to avoid drowning in water. My son who is 2.8 years old started to question my husband of the need to use it. He tried to explain him and used this term something similar to a life jacket which will save his life from drowning.This actually hit me strong. I realized it's nothing but a life preserver.Then a sudden question which popped in my mind as "Who is your life jacket?". Without much ado,I told myself that my life jacket is JESUS. Do you know why I say that and what HE does to me? 1.HE saved me from sins and made me to realize the unconditional love that HE has for me. 2.HE saved me from self pity and made me to know my identity that I'm the child of the most high living God. 3.HE saved me from the worries of the world and taught me that the Joy of the Lord is my strength. 4.HE saved me from all my wrong choices and helped me understand HIS ways because HIS ways are always higher than my ways and it's the BEST for me. 5.HE saved me from low times of my life and backed me up with HIS constant whispering of HIS words and helped me not to go down on my Faith level until I receive the promises of HIM. 6.HE saved me from insufficiency, loneliness and all life's endangered situations. HE is worthy to be called my Life jacket. 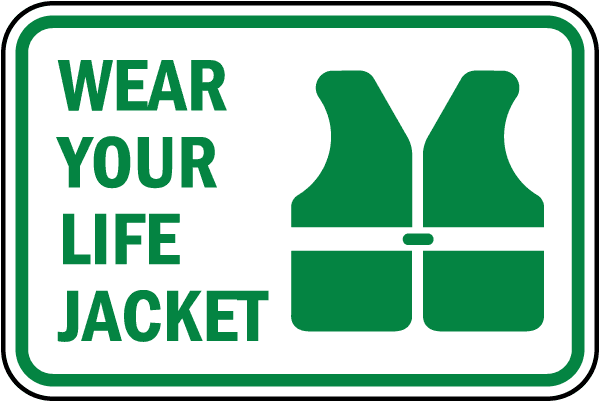 Who or what is your life jacket? Have you ever considered the following as your life jacket? If so, request you to rethink on those aspects. These would fail you at some point of your life. However, the one I recommend you to try will never leave you nor forsake you at any circumstances. Try JESUS , not as a religion but as a Friend and a Father. I bet HE will be your BEST FRIEND and your FATHER and your perfect Life Jacket. HE is the King of all kings and Lord of all Lords. Wouldn't you be proud enough to say that you are HIS friend / Son or a daughter of the most High one. Do you wonder how to friend him? Click on the link and download the bible app. Start Reading and you will find the answer. You don't need none to explain you. HE will reveal himself to you and the plans HE has for you. Are you ready to wear your life jacket? :) God bless!